Most automatic mechanical watches can be winded fully in this mode, but some brand not. Such as "Jaeger" etc. It's same setting with the Clockwise mode, the difference is the turning direction. It is an easy mode, you don't need to know how your watch has been winded, in this mode, the winder never stops. If you want to keep this watch with you for a long time, you select this mode. The mode operates on a daily basis, when you get back home, set the watch back to winder, and the watch will be fully winded within 3 hours. Then, the winder will stop for 9hours for you to get a good rest then after 9 hour resting, it starts working again. 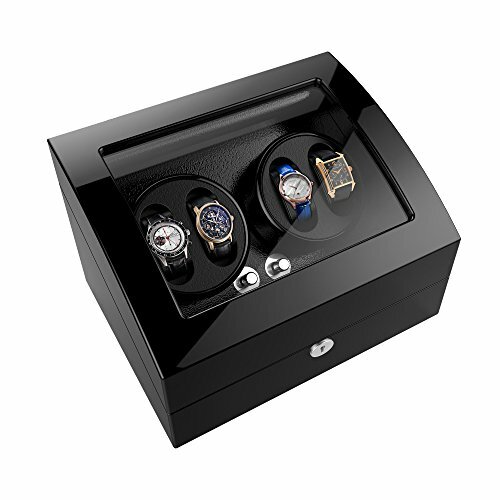 NOTE: A watch winder will not cause over-wind, if you have any question please call us. Wood Shell + Piano Paint + Leather Pillow + Acrylic glass + Japan Motor. If you have any questions about this product by TRIPLE TREE, contact us by completing and submitting the form below. If you are looking for a specif part number, please include it with your message.